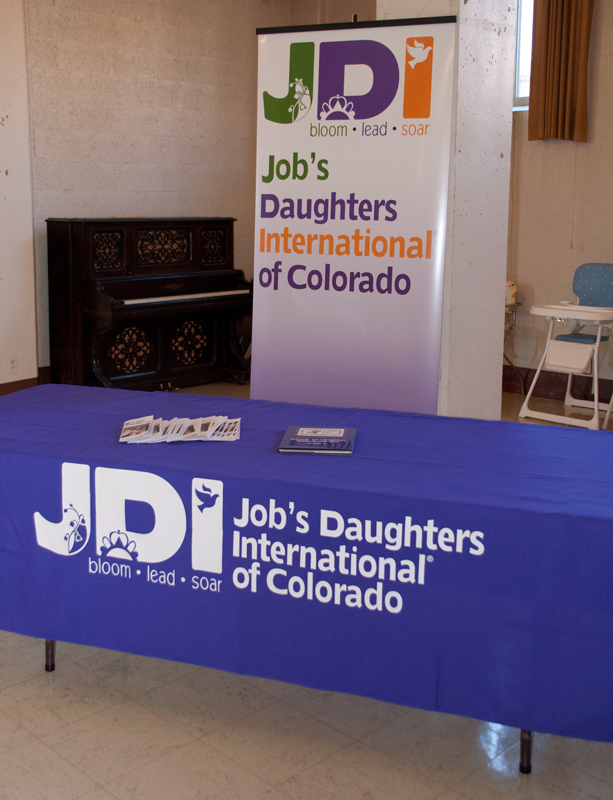 Job’s Daughters International, after a number of years of stagnant or even declining membership, in 2010 established a Long Range Planning committee to ensure the organization’s long-term success. 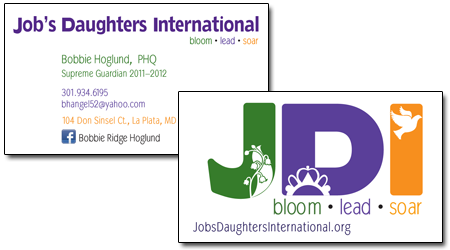 The committee decided that one of the first things it needed to do was create a brand-new brand to get people excited about Job’s Daughters. 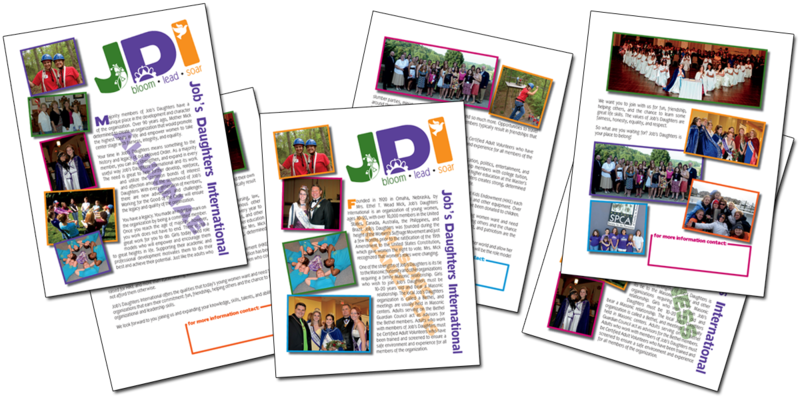 After the original graphic artist involved in the project left (shortly after her submitted designs had been embraced), I was brought on board to ensure the new brand’s successful roll-out across numerous media and jurisdictions, and expand upon the original idea into formats not yet considered, including yearbooks, pamphlets, one-pagers, promotional tablecloths and banners. Several samples are shown in the slideshow above.